file manager,winnc,norton commander,windows 10, explorer replacement, windows commander,nc of Windows. This NC clone file manager is inspired on the dual panel concept of the old file manager Norton Commander. Projects can include files and folders from all over the disks that relate to the project tab and are stored virtually in the project folder as a link. With a new Windows 10 interface WinNc can do all the basic tasks you expect from a modern file manager like copy, move, delete, compress, uncompress and create links. WinNc uses logical colors for the file actions so you can quickly see if a file is being copied (green), being moved (orange) or being packed (yellow). 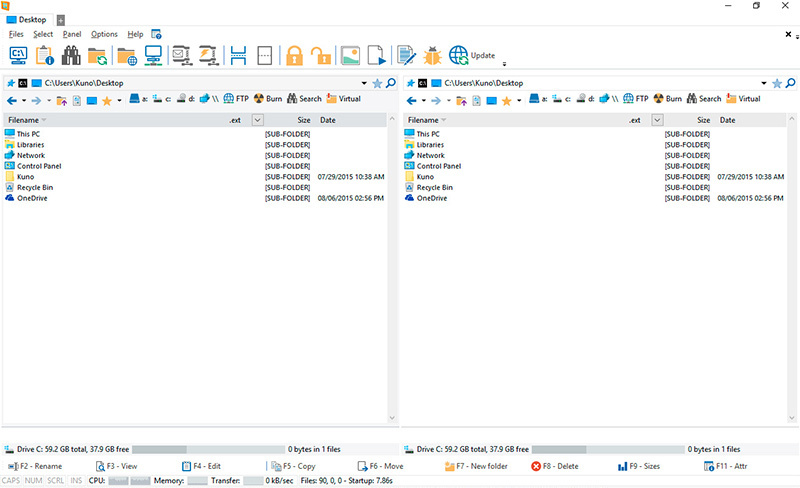 rtcuts to all the Windows special folders and the multiple tabbed interface allows you to organize your data by projects. Projects can include files and folders that are related to the project.